SnowPure has the widest variety of electrodeionization EDI products on the market. SnowPure sells EDI modules to OEMs for integration into pure and ultrapure water systems. Read about Electropure’s Electrodeionization Technology advantages. 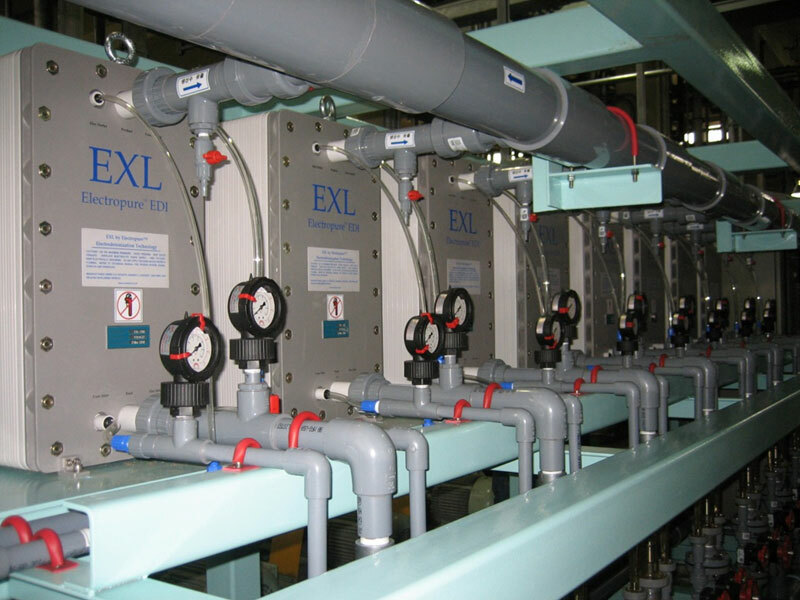 EXL by Electropure™ product modules are designed to be the highest flow Electrodeionization modules on the market. 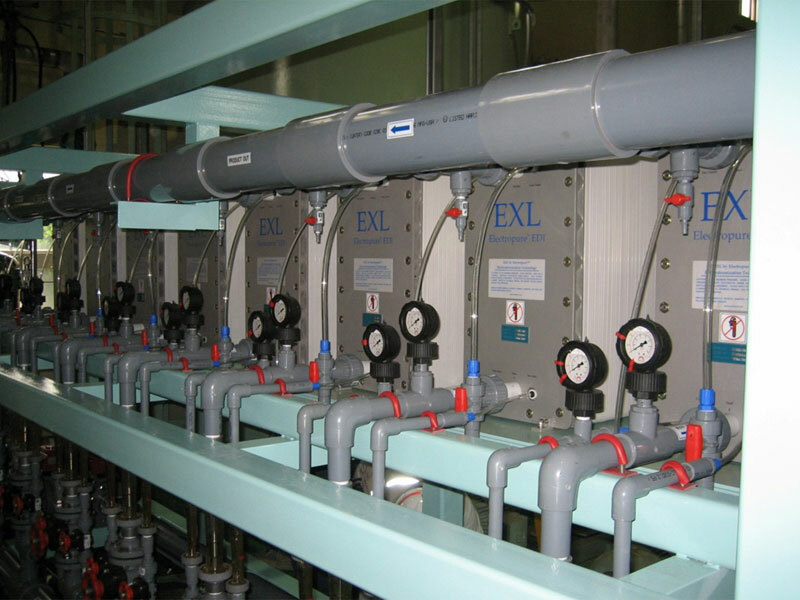 EXL modules can handle flow rates up to 10 m3/hr (44 gpm) depending on the specific requirements of the customer. EXL was in limited release in China as of January 2009. Electropure™ EDI technology with the same physical profile as E-Cell® MK3 and Ionpure® LX modules. Note: The above fitting options work with all EXL models interchangeably. See our EXL Product Fittings Brochure for details. XL-HTS High Temperature Stable Sanitary Modules by Electropure™ products cover a range of flows from 50 l/h to 2.3 m3/hr (10 gpm) depending on the specific requirements of the customer. These are designed for periodic hot (or cold) sanitization. The modules are stable for heat cycling up to 85ºC, for over 104 cycles. Normal hot water sanitization is 72-80ºC. Feed and product ports are 1-inch Ladish Sanitary Tri-Clamp Fittings. Modules come with sanitary clamps and seals, and stainless steel covers. Simple systems can be built with multiple modules in parallel. Modules are certified compliant with FDA CFR 21. Non-functional show models are available for purchase on request. XL-SR by Electropure™ products can handle a range of flows from 50 l/h to 2.3 m3/hr (10 gpm), depending on the specific requirements of the customer. These are designed for periodic cold sanitization using peroxide/peracetic acid. Modules come with sanitary clamps and seals. The -SR series is an improved design with the bolt heads on the opposite face. XL-R by Electropure™ products can handle a range of flows from 50 l/h to 2.3 m3/hr (10 gpm), depending on the specific requirements of the customer. These are designed for rugged industrial EDI systems, whether made from PP or PVC or Stainless Steel. Feed and product ports are 1-inch female pipe thread (FNPT). The -R series is an improved design with the bolt heads on the opposite face. 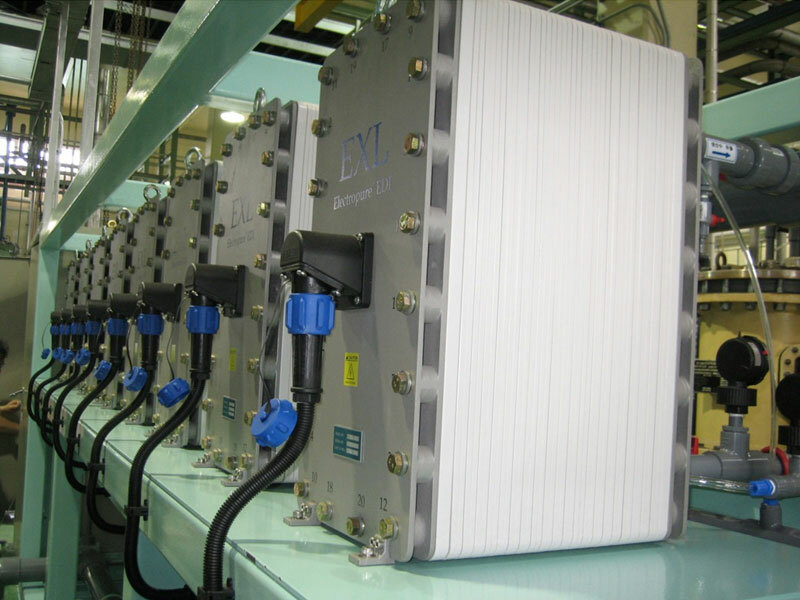 XL-DER™ High Temperature Stable EDI Modules by Electropure™ products cover a range of flows from 50 l/h to 2.3 m3/hr (10 gpm), depending on the specific requirements of the customer. This product is optimized for preparing dialysate for hemodialysis centers. When operated in the specified manner, XL-DER™ can remove an additional 95% of endotoxins from RO permeate, making the dialysate even safer for patients. See Biocontrol Science, 2011, Vol 16, No 3, 109-115. Designed for optimum ion and endotoxin removal. Modules are compliant with FDA CFR 21. Zapwater EDI modules were developed as electrodeionization for small countertop or wall-mount laboratory water product development. Zapwater RO-EDI systems can be designed to produce ASTM Type I & II, or JIS A2 to A4 lab water. 17 Megohm typical water quality if the RO and pretreatment are optimized. Zap modules are compliant with FDA CFR 21. SnowPure is looking for country- and regional- partners for lab water products.